Fifteen years ago I took my first trip to Costa Rica. Everything was new and different there. The rainforest. The animals. The bugs. The people. The language. It was an adventure defined by the exploration of new worlds. While there, I was lucky enough to spend 3 days deep within the rainforest in a location accessed only by a very long and bumpy tractor ride on a deeply-rutted, mud trail. The forest at this location was so thick with growth that you could not see 3 feet beyond where you were standing! One morning, I was watching the birds in the tree canopy when I spotted the red breast of bird. The red looked brilliant against the various green colors of the lush jungle leaves. Its black wings further highlighted its red color and its yellow beak made it look supremely exotic among the rainforest backdrop. I marveled at its infinite beauty and intense colors this new world held. But sometimes, the magnificence of life really has nothing to do with what we see, and everything to do with how we think. Life is not a function of whether what we experience is new, but rather can we relate to it as new. But perhaps in doing so, I short-change the wonder and beauty of my life. I don’t need to look any further than my trip to Costa Rica for proof of this. I later found out that the magnificent bird I spotted in the jungle and marveled at for 20 minutes was called a mountain thrush, more commonly known to us as . 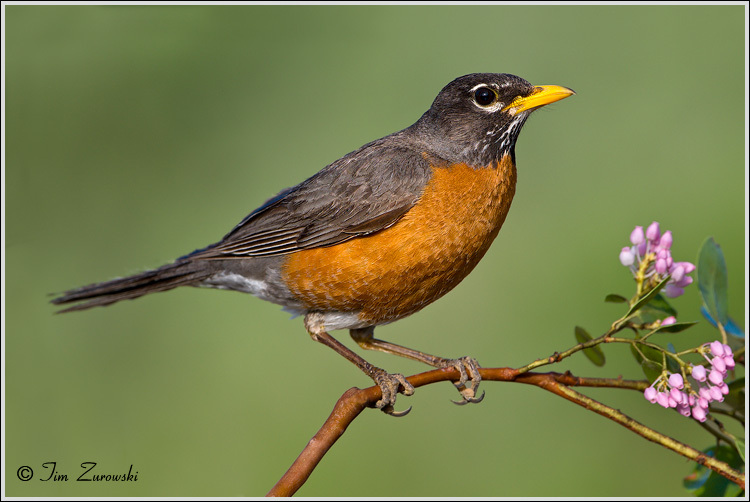 . . a robin. Sometimes we need to look at our life and loved ones in a whole new way to realize the beauty and uniqueness they hold. If we were to experience the world we see every day, day-in and day-out, with the same wonder and awe of a child, we would live in a magical kingdom every moment of our lives, truly experiencing all the joy life has to offer. Can you look at your job that way and be intensely interested in the challenges it offers each day? Can you look at your beloved that way, and fall in love with them over and over again, every morning? That is the trick to loving life! And for those who might consider this new perspective just too much of a challenge, consider the miracle of sight this young man has created. Nothing is impossible!